The brief was to design a replacement for Sheerness’s existing sports centre and swimming pool. Making sure the spaces were easy to navigate for people of differing mobilities was a key consideration, as well as making the centre as welcoming as possible. I wanted to avoid a clinical, hospital-like look, so many of the rooms are wood-clad, and the individual rehabilitation rooms all have access to private outdoor space. As it is currently occupied, the site is quite fragmented: buildings at opposite ends which cut off open areas, making them difficult to get to and unpleasant to use. This, combined with the towering sea-wall, means that the site is quite dark, and cut off from the beach, despite it being so close. My proposal aims to solve those problems. The first step was amalgamating the buildings into one, allowing the rest of the site to be open and provide better green space. 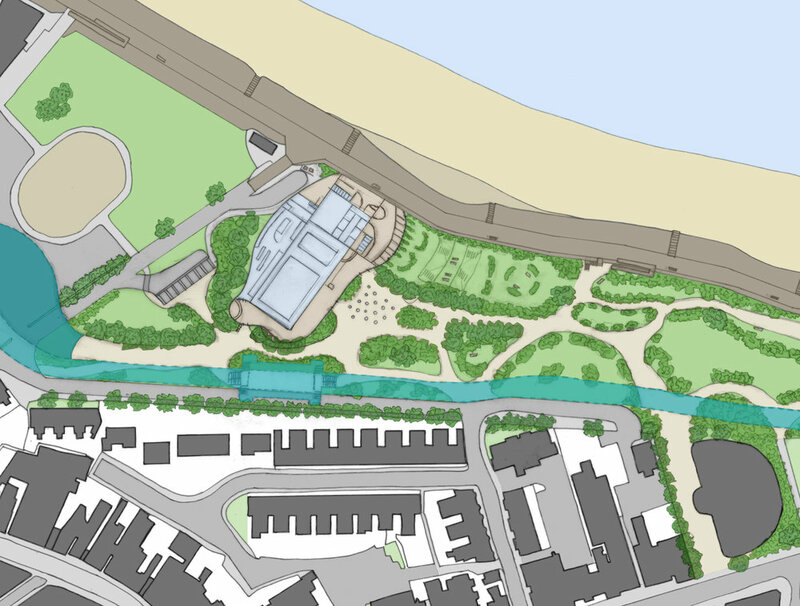 This also allows the restoration of the historic bandstand. The building is shaped to emulate the waves from just over the sea wall and is placed right next to the wall, so that the waves seem to be coming through from the sea itself. The wood cladding was chosen to lighten the site and will silver with age, increasing the effect. 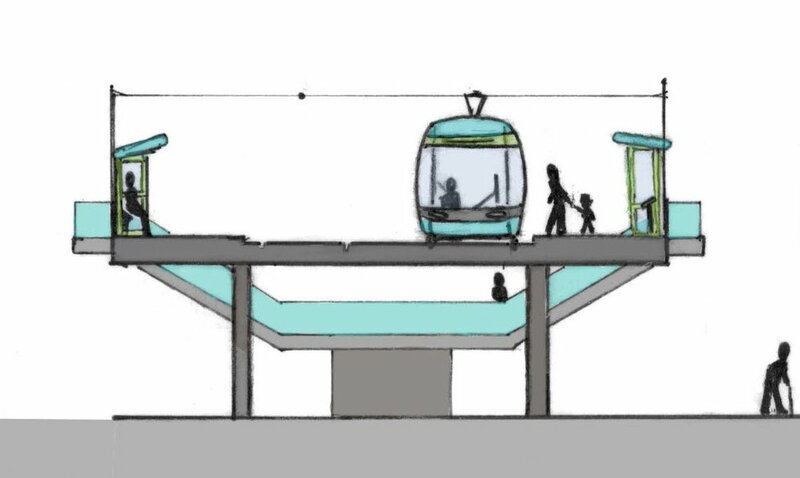 My experience using public transport to get to Sheerness inspired me to design a Light Rail System for the Isle of Sheppey, as part of this project.